As with the manual WIWA Air Combi spray gun all material contacting parts are made of stainless steel and are also suitable for water and solvent containing lacquers. The spray jet can optionally be adjusted on the gun, or externally via regulating and control valves and process computer. 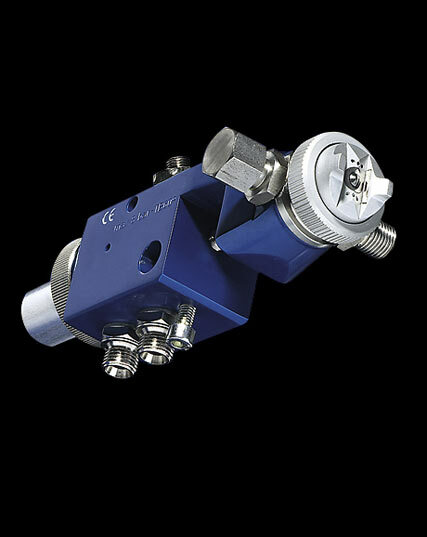 The connections for jet and atomizer air are separated, whereby the double material connection enables perfect serial connection of several spray guns.